A common nightmare most students have and it is likely to follow them years after graduation is oversleeping on exam day. Every student rely on a different strategy in order to make sure, they are on-time to their exam. I remember when I used several different alarm clocks which were set to go off at intervals of 15 minutes. So if I turned one of them off without really waking up, I waked up when the next alarm went off. Of course, it was a long time ago. I have started using Alarmy (Sleep If U Can) app. 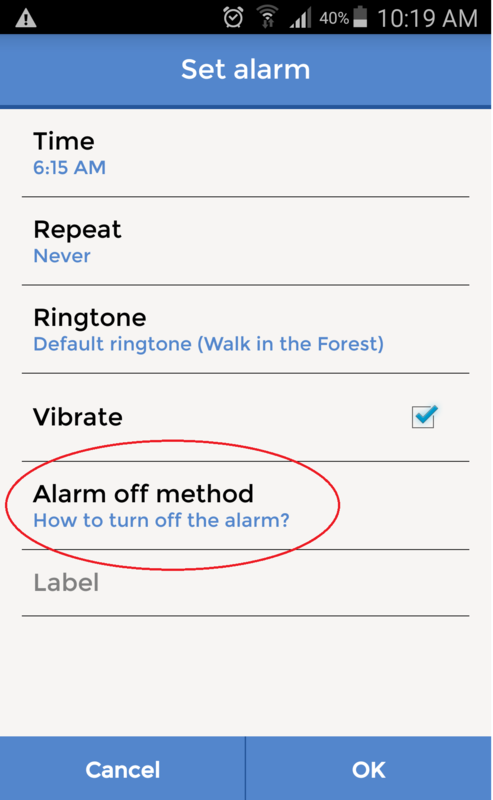 Apparently, it is called the “World’s Most Annoying Alarm App” but it works. It basically forces you to wake up on-time. 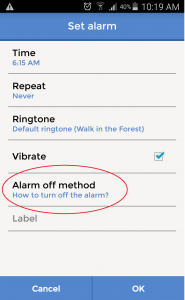 It is a neat alarm app since there are 4 methods on how you choose to turn off your alarm. 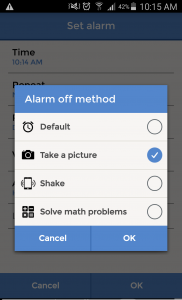 1) take a photo – The photo must be the same photo you took when you set the alarm; 2) shake your phone the number of times you set to shake your phone when the alarm goes off; 3) solve a math problem – You can choose the level of difficulty when you set your alarm. 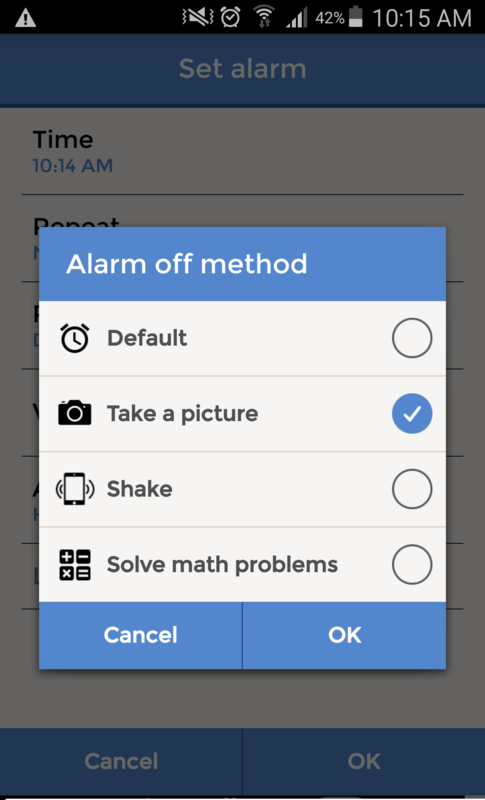 You can also choose the number of math problems you must answer in order to turn off the alarm; and 4) the boring default method (i.e. like any other alarm clocks). I usually take the photo of my coffee machine when I set my alarm. In the morning, I must go to my coffee machine to take the same picture to turn the alarm off. While I am there, I make my coffee and I have no excuse to turn of the alarm without waking up. Not all features might be known to new users. Under the setting make sure “Auto silence” is off and “picture sensitivity’, “Shake sensitivity’, and ‘Alarm volume’ are set to an appropriate levels. 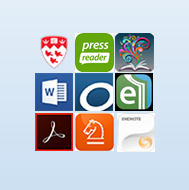 It is not free for iPhone users. It costs $2.29 on Apple Store.